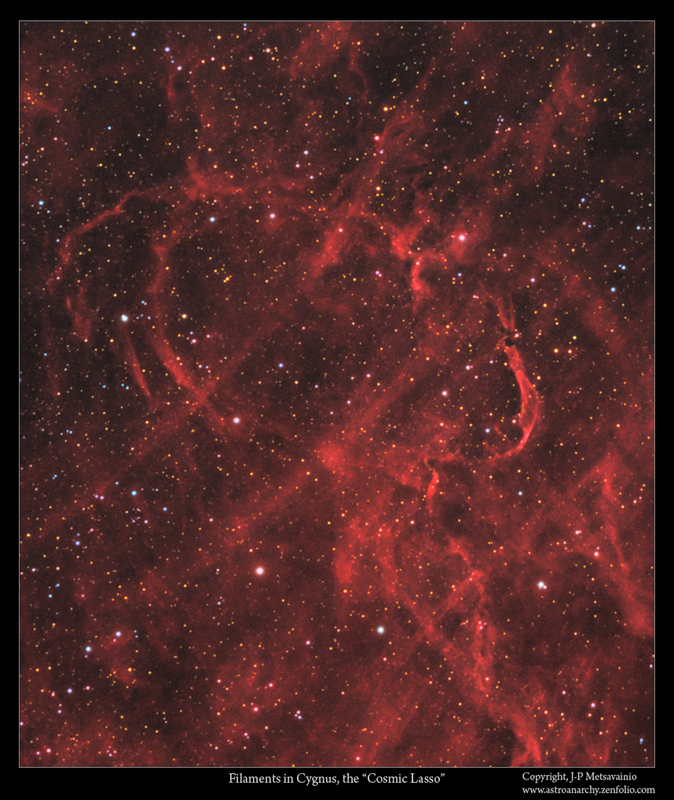 Astro Anarchy: Filaments of Cygnus, "Ring Of Fire"
Filaments of Cygnus, "Ring Of Fire"
Start of the new imaging project, data is shot at October 7, Since the sky seems to be permanently cloudy now, I made this photo with the data I have. 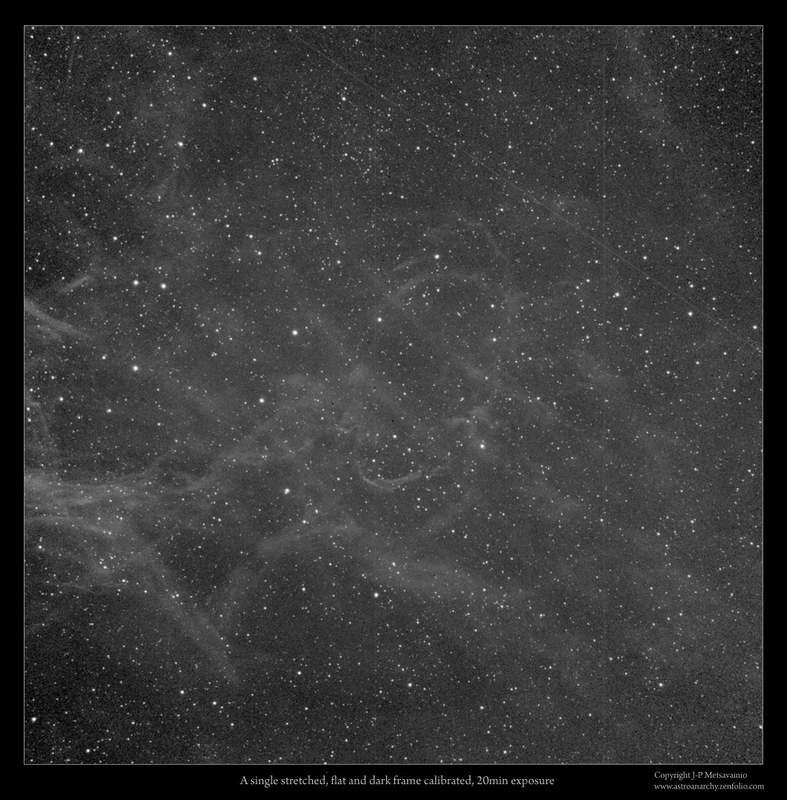 New exposures are 5h of H-alpha and colors are taken from my older Cygnus mosaic from 2012. I will continue with this image, when weather permits. I noticed this interesting looking formation back in Autumn 2012 when I was finalizing the large 18-panels mosaic of cygnus. Part of the 18-panels mosaic image of the constellation cygnus. Color data is from this photo. 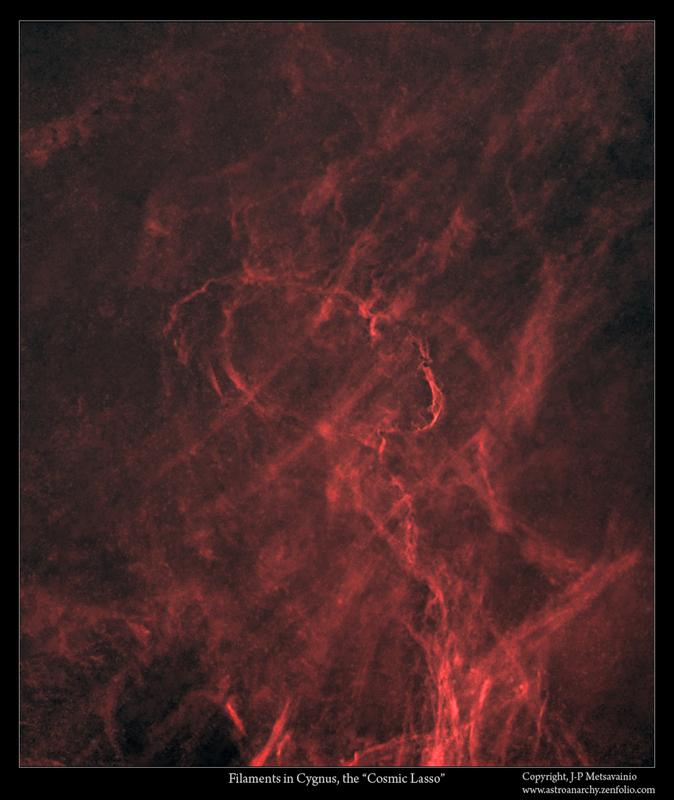 "I wanted to mention that this nebula is known and is catalogued as Du 2. It is a supernova remnant or planetary nebula candidate that was discovered by the French amateur astronomer Pascal Le Dû. A lot of new planetary nebulae have been discovered by amateur astronomers in the past five years." Image was taken at November 2011. I removed the stars to see the nebula better. Canon EF 200mm f1.8 optics, QHY9 astro camera and Baader narrowband filters. At the time I was shooting a less known area at the Western Cygnus. This looped gas got my attention. 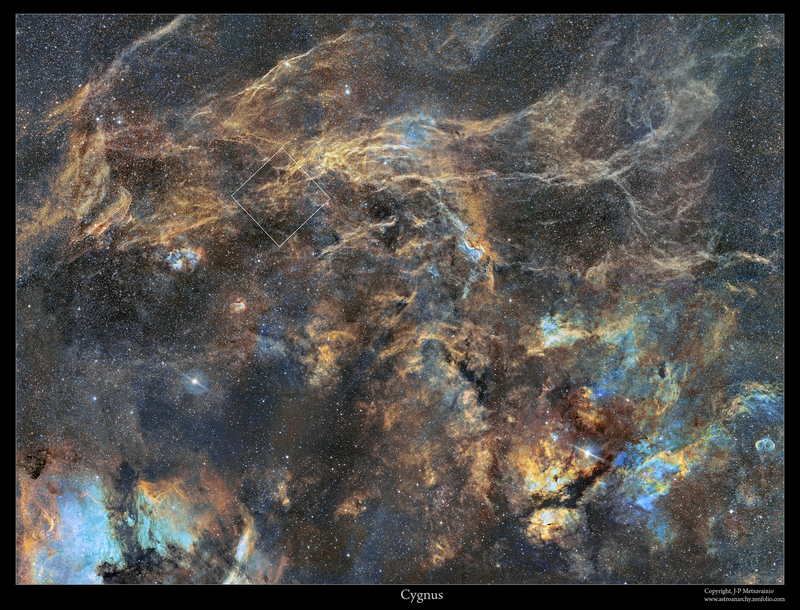 The "Cirrus of Cygnus" was a small part of the large mosaic image of the Cygnus nebula complex.